The mortgage business has become its own industry. It seems as though you can get a mortgage almost anywhere - you are not limited to traditional financial institutions. There are, however, distinct advantages for those who take the time to sniff out a full service bank instead of the "best price" on a mortgage rate. Alternative financial institutions and specialized mortgage lenders may offer deals that look pretty sweet upfront. But as they say in business, "There is no free lunch." It is always worth the time to take a longer look at deals that seem too good to be true. 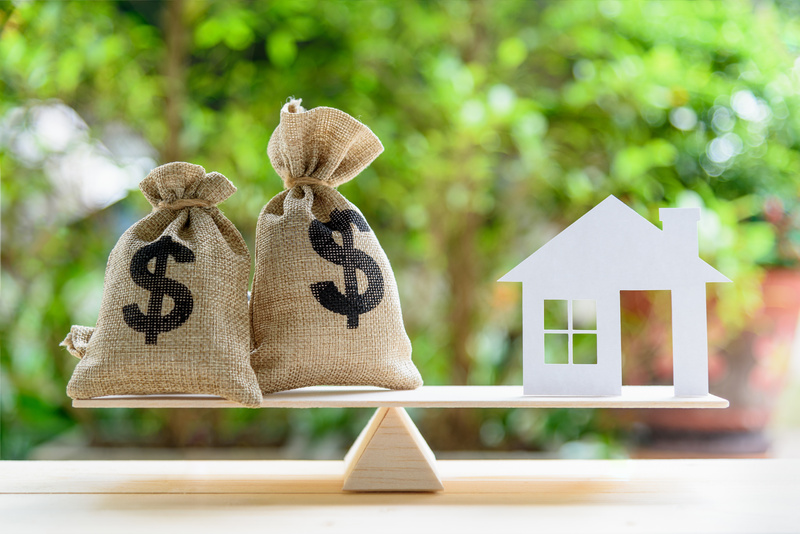 A great bank really can make all of the difference when it comes to buying real estate, which is likely one of the biggest investments that you will ever make. Look to the following best practices to lead you in a stable, consistent direction when choosing your financial outlet. When you buy a house, the mortgage payment is only one of your expenses. You have a number of other financial obligations that will come to you immediately as a result of your purchase. Insurance, maintenance, interior design and a host of other things will add to the money that is coming out of your pocket. Knowing this, why would you limit the amount of money that can come into your pocket by doing a mortgage with a less qualified financial entity? Just as the mortgage is only the first expense you will deal with during your purchase, the mortgage is only the first service that a great bank can offer you. If you build a relationship with a bank that has a full range of financial services outside of the mortgage, you will be able to leverage your home as a financial asset instead of just living in it. Real estate can serve as the baseline for your next business endeavor or education investment. However, you will not be able to touch the equity and other leverage in your home without the right bank behind you! Having a checking and a savings account at the same institution where your mortgage is held can give you immediate benefits. You may be able to expedite a credit or car loan process. Regardless of what you need, it is certainly easier to get those services when you have formed a relationship with the bank through a mortgage agreement. In short, your mortgage is the key that unlocks many other financial doors! You may need an additional bit of leverage to purchase your home at the best rate. As stated before, the mortgage is only the first expense that you must take into account. Depending on the size of your down payment, you may be responsible for private mortgage insurance (PMI) or other expenses associated with the buying process. Doing business with a full-service bank can give you access to a home equity line of credit (HELOC) and other tools that can help reduce the size of your out-of-pocket down payment. A great bank is a natural source of these type of transactions. If you do mortgage business with a specialized lender, you may lock yourself out of these tools. You may also reduce your ability to take advantage of changes in the market, which your specialized mortgage lender will definitely do (e.g., you take the bait of a variable interest rate). Access to a HELOC opens the door to debt consolidation, which can reduce your interest rate on other lines of credit that you have outstanding. If you have other bills to pay, you may be able to save tens of thousands of dollars over the life of those loans simply because of the institution that you bank with. Another very common use of the HELOC instrument is to expand upon the current property you own. You may decide that it is time for renovations after a year of living in your home. You may want to upgrade your interior design or build a garage. You will be able to do this much more quickly if you do business with a full-service bank. Speaking of the service level you receive, a great bank will always ensure a level of customer service that you can depend on. Many of the issues that occurred during the 2008 housing crisis could have been avoided if the third party lenders who bought mortgages had simply taken the time to explain a few details to their new clients. However, this would take away from their profit margins. Those lenders were not inclined to do anything extra for customers because they did not have a brand in the public eye that could be hurt from bad customer service. You should anticipate financial problems over the next three decades if you have a 30 year mortgage. If this is the case, wouldn't you feel better knowing that you are backed by a brand with something to lose if it mistreats you? Your full-service banks are more likely to give you great customer service for this reason and because of the additional business it can do with you. If you are wondering about the customer service of a potential lender, call them up and ask questions! If a company will not treat you well during the sales process, you can assume that company will not treat you well after the close of sale. A great bank will not have this problem. A good lender will take the time to answer all your questions so that you can go into this huge decision with your eyes open. Getting face-to-face service is the cherry on the top of the mortgage sundae. In a world of digital devices, being able to talk to a person is a luxury that no good businessman should give up. If you run into problems during your mortgage, computers will not be able to work around rules and regulations to help you. People can. Doing mortgage business with a great bank gives you more than a few points off of an interest rate. It gives you peace of mind and a stable backdrop to conduct future business with your new set of financial tools. Your home can be an emotional headquarters and a place of rest, but it can also be one of your best financial assets with the right bank backing you. Take the time to build that relationship up front. As they say in business, "You make your money on the buy, not the sell!" To learn more about your options, call us now or schedule an appointment with an advisor.